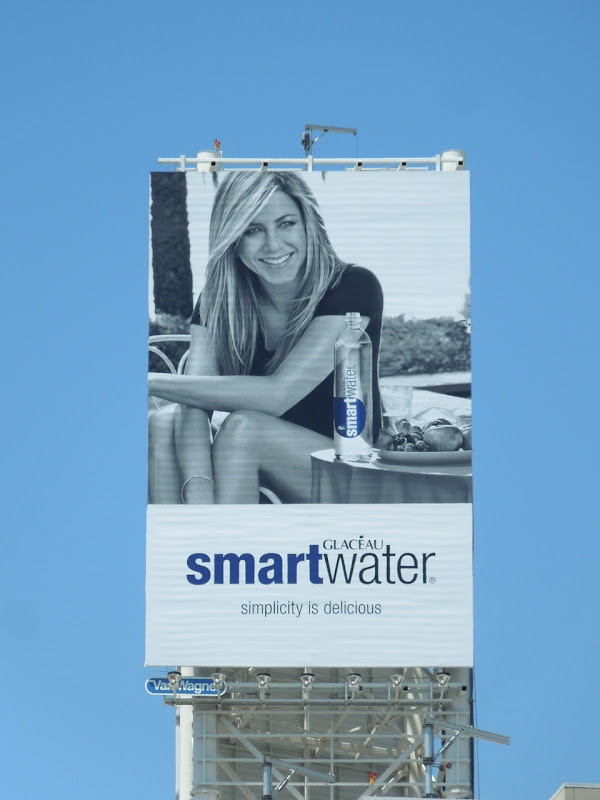 What's the best way to make water interesting and give it a premium appeal you ask, well just have a A-list celebrity like Jennifer Aniston drink it and there you go, job done. 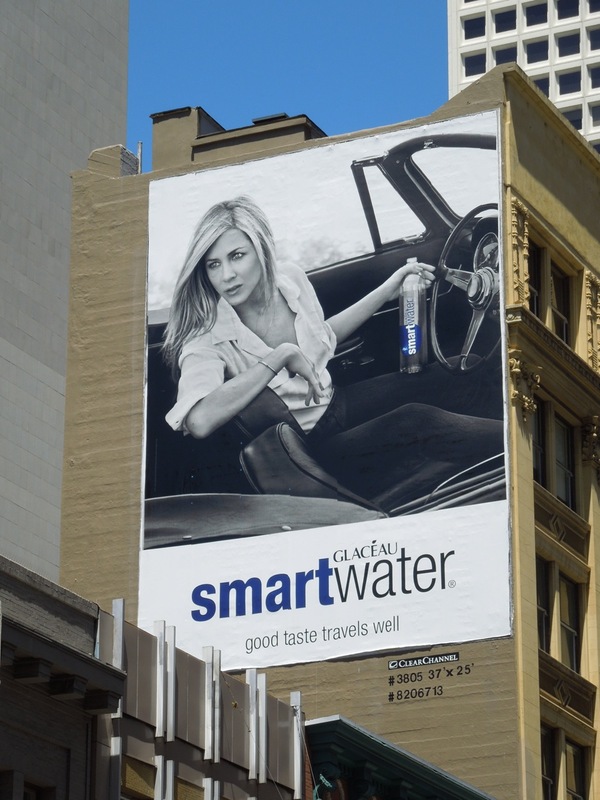 Obviously you'll probably spend oodles of cash getting them to endorse your product, but you're sure to make that up in sales from fans and admirers who trust and adore someone like the former Friends star. 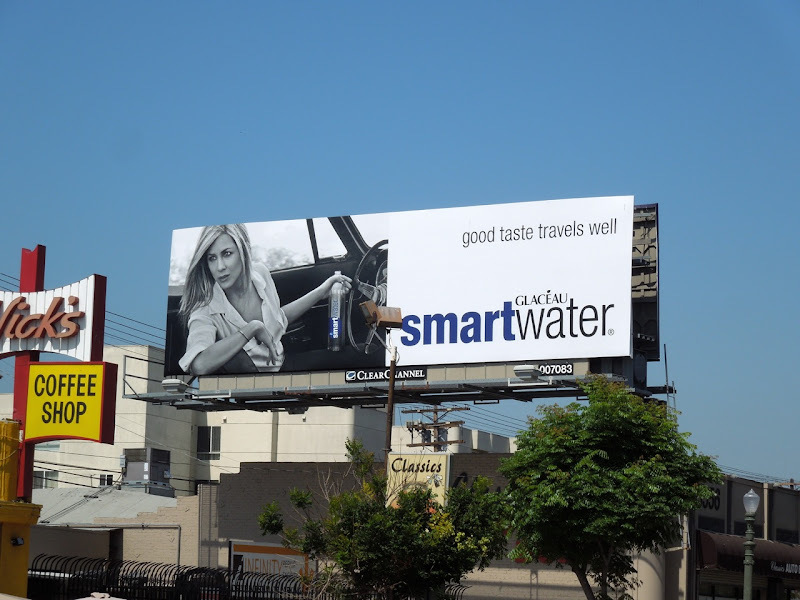 The Smartwater 'Good taste travels well' creative was spotted along L.A.'s Pico Boulevard at La Cienega Boulevard on July 26, plus along Kearny Street in San Francisco on July 30, 2012. 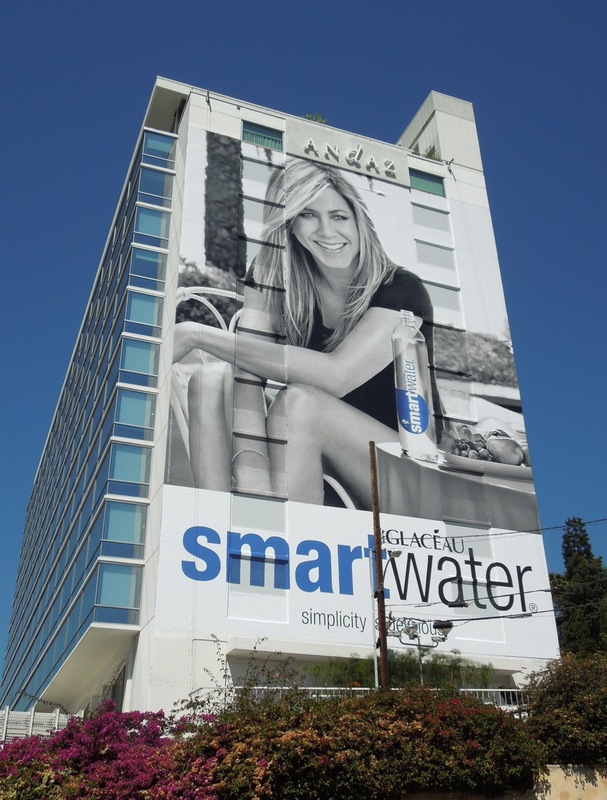 The super-sized 'Simplicity is delicious' billboard with a smiling Ms. Aniston was snapped on the side of the Andaz Hotel in West Hollywood on July 19, whilst a smaller version and the tall vertical creative were spotted towering over Sunset & Vine in Hollywood on July 2, 2012. 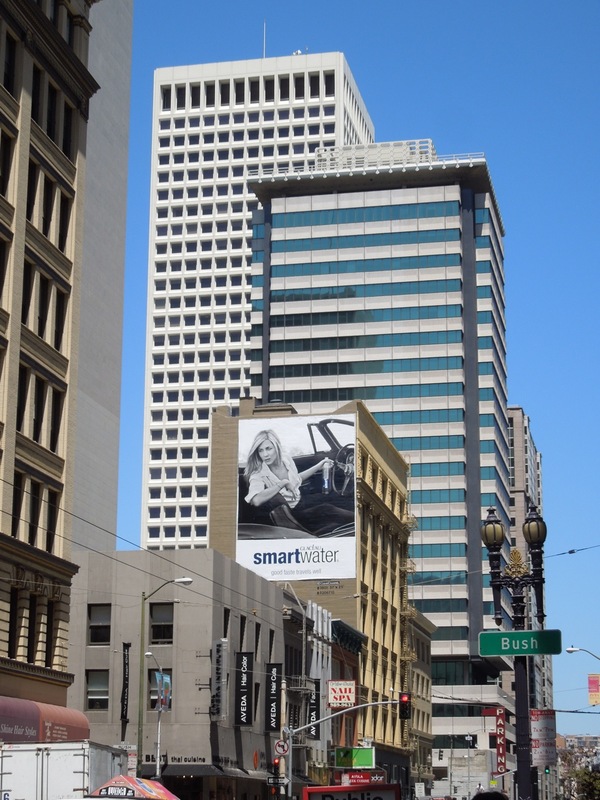 As a special bonus, here's another giant Smartwater ad featuring the star from last August 2011. 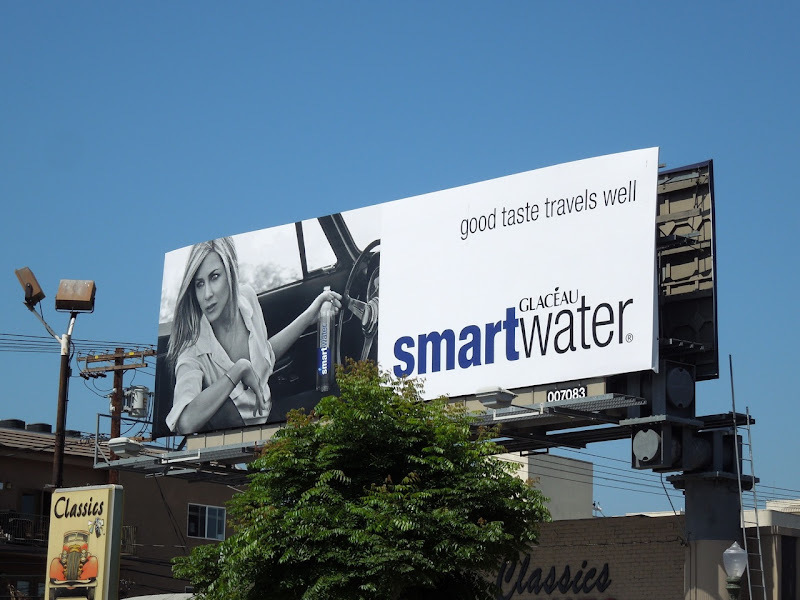 This version has more of a fashion theme and a tagline to go with it - 'Because taste never goes out of fashion'. 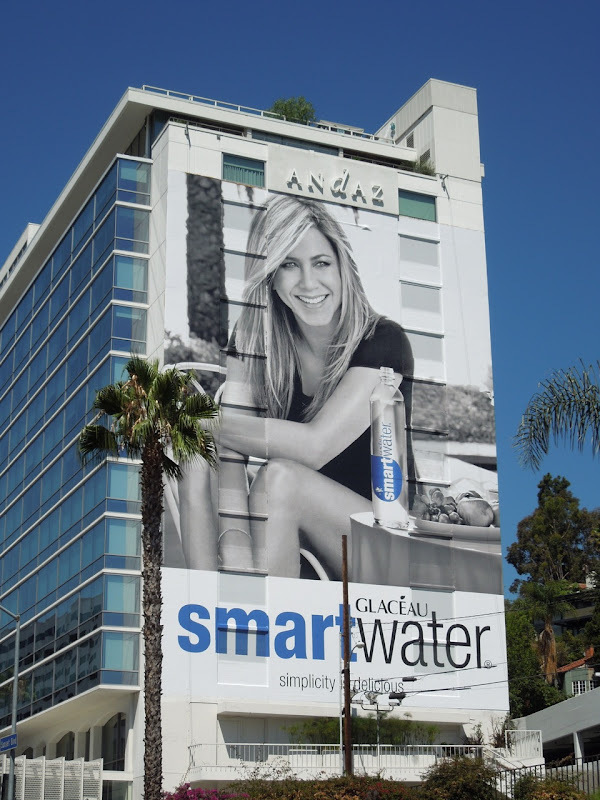 If you're a fan of the gorgeous actress, be sure to also check out these Horrible Bosses movie billboards, Just Go With It billboards and The Switch billboard. For more celebrity endorsements check out these billboards featuring Rihanna for Vita Coco coconut water, Idris Elba's Tanqueray gin ads and Kim Kardashian's Midori liqueur billboard.